Enchanted Anthologies brings you a co-written paranormal romance anthology. His is inarguably described as one of the most blood-hungry rulers in history. People fear him. Women want him. Life twisted him. He wants to share the truth about his life and un-death. Dracula is finally ready to set his story straight. Raised in pastoral Romania, innocent Crina knows nothing beyond her father’s farmlands. When she discovers an injured man hiding in their barn, she is captivated by his exotic nature and offers to help him. An angry quartet of townsfolk materializes outside the barn, demanding the man responsible for the death of a local girl. Crina makes the life-altering decision to conceal the stranger in her barn. Grateful, Dracula seduces Crina, revealing his dark secret during their passionate encounter; his insatiable desire for blood. He then vanishes, leaving Crina alive. When Crina’s father unknowingly attaches her to a violent fiancé, Dracula intervenes, risking exposure to save Crina from a brutal attack. However, his heroic action is futile. Unwilling to lose the only woman who showed him kindness, Dracula offers a unique solution. Now Crina must decide not only if she can love a monster, but if she can love herself for becoming one. Emilia, once terrified by the powerful Prince of Darkness, now adores him. She serves as his devoted confidante even before they are wed. She lives for the pleasures of their bedchamber and risks her life to find a cure for the curse that turned him. Dracula, astounded by her efforts, reserves a special place in his heart for his most exquisite bride. Life was perfect before he came. The vampire who shattered the world she knew. 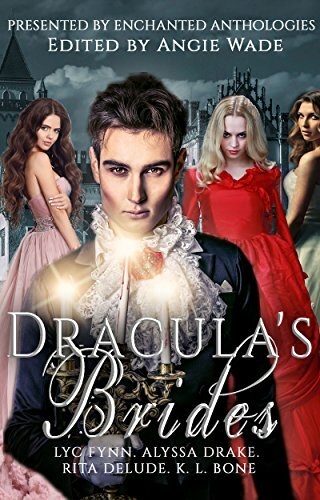 Handsome, intelligent, and charming, a single taste of Dracula’s embrace overrode Isabella’s cautious sensibilities and left her breathless, craving a life beyond traditional expectations. A destiny of knowledge, which could only be found in the creature’s eternal embrace.